Today, the Liberal government announced the launch of the cannabis legalization task force, including the names of who will be on the nine-member committee. Chaired by prohibitionist Anne McLellan, the other members of the task force mostly include doctors and law enforcement. 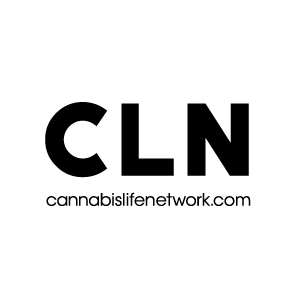 There are glimmers of hope, however, as Dr. Mark A. Ware, who is also the vice-chair, is the executive director of the non-profit Canadian Consortium for the Investigation of Cannabinoids (CCIC). Dr. Susan Boyd is on record as an anti-drug war activist, having written Killer Weed: Marijuana Grow Ops, Media, and Justice, Boyd has debunked many assertions made by police and government agencies that link British Columbia’s cannabis industry to gangs and violent crime. A Justice Department study completed in 2011 found that, of 500 cannabis farms, only five per cent were linked to organized crime. “This study wasn’t released by our federal government, and you could see why,” Boyd is on record saying. George Chow is another member of the task force, having served two-terms as a Vancouver City Councillor in the corrupt Vision Vancouver Party, Chow is currently on the Board of Variance. Although not overly supportive of cannabis dispensaries, he has shown some sympathies to the cause. When it came to keeping the BC Compassion Club open, despite being in violation of the city’s bylaws, the Board ruled in favour of Vancouver’s oldest dispensary. Marlene Jesso, a police officer from Newfoundland and Labrador, has spent a good portion of her career waging the drug war, working undercover and linking drug trafficking to terrorism. “My career has been devoted to law enforcement but the federal government has decided to change its policy regarding marijuana and I’m delighted to be a part of it,” she told CBC. Perry Kendall is a physician and former Provincial Health Officer for British Columbia. Unfortunately, Kendall has been spewing the less intense but still prohibitionist rhetoric. Why should cannabis be harder to get? Wouldn’t that defeat the purpose of legalization? Wouldn’t that incentive people to keep visiting a street dealer? And hasn’t Dr. Boyd debunked the BC-criminal connection? What the hell, Kendall? Barbara von Tigerstrom is a lawyer familiar with the government’s regulatory regime for pharmaceuticals, alcohol, and tobacco. She is also an expert in administrative and international law. You can imagine why they would want to include someone with those credentials. And finally, there is Catherine Zahn, president and CEO of the Centre of Addiction and Mental Health. The same organization that found underage drinking among Ontario students more common than cannabis. Which begs the question, how effective is “strict control” by government planning? If experience, or a deductive look at human action, has taught us anything, it’s that government bureaucracies and committees seldom achieve their goals. In fact, they tend to serve only a few purposes. Give the public an illusion of responsible study and action, as well as provide a basis for industry to capture. The legalization task force is merely an act of public relations. Insofar that legislators jobs are now easier thanks to the recommendation from “all Canadians” through an online feedback mechanism and this nine-member task-force — this merely suggests that Canada doesn’t already have laws on the books effectively regulating goods and services. What’s lost in the messaging isn’t that “our people” aren’t on the task force but that we didn’t need a task force at all. Torts, contracts, private property rights, commercial law and criminal law are likely enough to regulate all human action, including cannabis. For centuries, people adopted compositional, rather than confrontational, dispute settlements. And that’s all the cannabis debate is — a dispute whether people should be free to grow, buy, sell, and consume a plant. For centuries, when such disputes occurred, attempts were made at reconciling the involved parties. This was the “legal system” that helped build western civilization. The rise of the nation-state undermined this system and democracy certainly hasn’t slowed down the process. Instead of settling disputes through negotiation and compromise, Canadians look to Ottawa to render a one-size-fits-all judgement. Cannabis can be a gateway to fixing that.